Former Malaysian Prime Minister Najib Razak has been arrested on Wednesday for alleged multi-million dollar fraud in a state investment firm. More charges will be imposed on him. Najib, who was arrested by the Malaysian Anti-Corruption Commission, will be produced before the court today to be imposed on charges. Najib has already been accused of money laundering, corruption and betrayal and has denied the allegations. 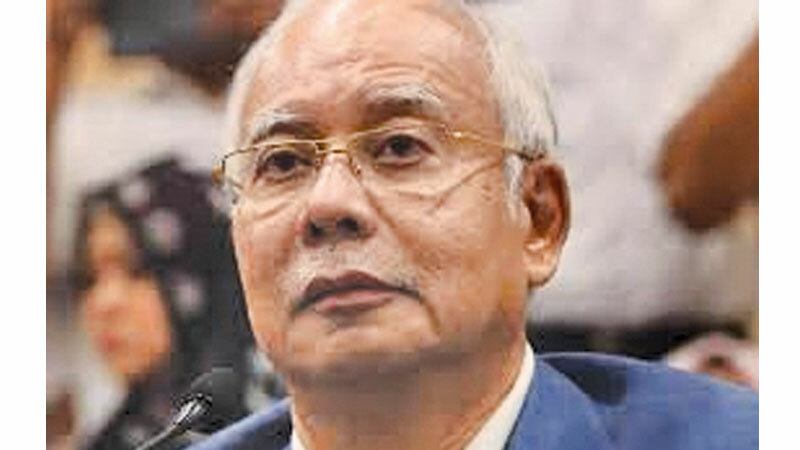 Najib has been accused of transferring RM42 million of the Malaysian state-owned 1 MDB fund to his own bank account. International investigations say Njeet's associates have stolen billions. After coming to office in 2009, Najib launched a 1MB finance company aimed at economic development. However, the financial institution was reportedly concentrated in billions of billions, and the US and many other countries investigated the financial fraud. Najib's ruling party suffered a defeat in the general election last May after the scandal.